File names in the game's database might be hinting at upcoming additions to the roster. A fighter is only as good as its roster, and Mortal Kombat almost always manages to nail that aspect. 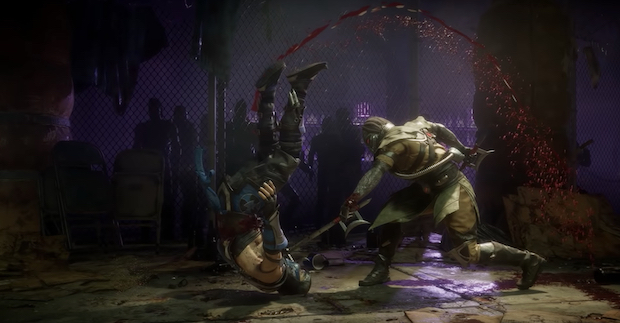 The upcoming Mortal Kombat 11 is also looking like it’ll be doing just that, with the likes of newcomer Geras and Sonya Blade having been revealed about a month ago, followed by the reveals that D’Vorah and Kabal will also be returning to join the roster. And now, several other characters to be included in the game might have been leaked. Over on Steam DB (via Twisted Voxel), the game’s Steam Achievements are listed, as they would be for any other game, but interestingly enough, files linked to specific achievements for performing two different Fatalities each with individual characters contain shortened references to the character names themselves. The likes of Scorpion (mentioned as SCO), Sonya Blade (SON), Sub-Zero (SUB), and Kabal (KAB) are all mentioned, but it seems the files aren’t limited to the characters that have been officially revealed. References to ERR (most likely Erron Black), KUN (Kung Lao), FRO (Frost), JAD (Jade), CAS (Cassie Cage), and KOT (Kotal Kahn) can also be seen in the file names for the achievements in question. There are others two, which might possibly be referring to new characters entirely (then again, maybe not). Given that this doesn’t come from official channels, and that the names those references might be related to are guesses at best, don’t take this as confirmation of the addition of these characters to the game’s roster, but it’s pretty solid evidence nonetheless. Stay tuned, and we’ll keep you updated on any new info that comes our way. Mortal Kombat 11 launches on April 23 for the PS4, Xbox One, PC, and Nintendo Switch.